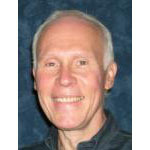 Awakening in America® author Robert Taub is a uniquely gifted spiritual healer, and teacher, residing in Chicago, Illinois. He provides clients with an inspirational guidebook, Awakening in America® An Adventure in Awareness, workshops, seminars, sessions, and a blog. Robert has presented his work to audiences since 2002 and conducted several thousand group, and individual, transformational healing, and guidance sessions. His clients awaken, progress spiritually, and experience healings ranging from clarity about life issues to remissions of health challenges. Learn more at www.awakeninginamerica.com.